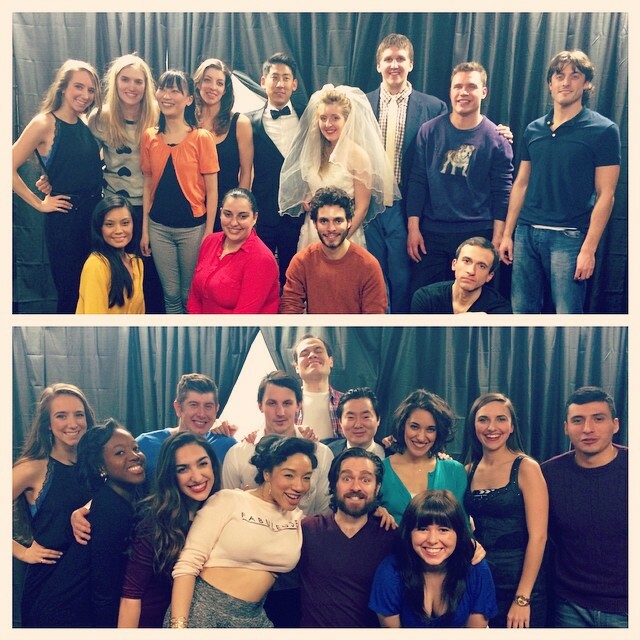 So proud to announce that both casts for Romantic Fools successfully completed an entirely sold-out run! The show ran for twelve performances at 300 West 43rd Street in Times Square, NYC, and closed on Valentine's Day. What a whirlwind experience and a wonderful group of 24 actors. I couldn't be more pleased. May The Salon Be With You, the third installment in the Salon BKLYN series, is May 17th! Check out the new sizzle reel below of some highlights from previous salons. Video courtesy of Jordi Coats. My latest artistic venture? Producing! By teaming up with long time colleague and friend, Jordi Coats, we've embarked on a year-long venture to produce a quarter-annual series of Salons, each a night of site-specific visual and performance art located in a brownstone in Park Slope. With Jordi's background in both producing and casting, and her knack for scoping out new talent, coupled with my flair for event planning and execution, our producing partnership is a match made in heaven! About the Salon: We've been inspired by the idea of the Salons that became popular in France during the 1700’s when a host would curate a night of art to be shared among creative people in the privacy of their own home. The goal of a Salon was to encourage future collaborations among artists, enjoy an evening of great work across several disciplines, and find inspiration for your own personal projects. We thought: Why aren't we doing that? And decided to begin hosting Salons of a 21st century variety around NYC. Please join us for this exciting Salon Series! 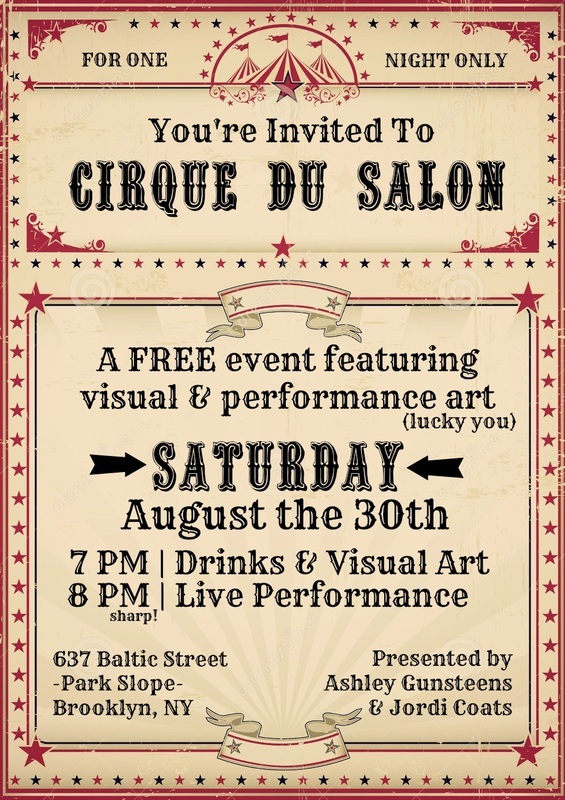 To learn more about the Salons and the participating artists, visit our website at www.lesalonbklyn.weebly.com. Hey, I designed that site too! ★★★★ Time Out New York Critic's Pick! Winner: Fringe Overall Excellence Award for Best Ensemble! Currently Assistant Directing What Every Girl Should Know, which runs August 15-24 in the NYC Fringe Festival! The show was written by NC playwright, Monica Byrnes, and features the music of AMANDA PALMER (incredible), as well as four crazy talented actresses. The show is more than timely as it deals with the world that is possible when young women have sovereignty over their bodies, and the reality they face when they don’t. But aside from the hard hitting messages, the show is surprisingly funny, magical, and the dances are oh so good. It's $15 ahead of time, or $18 and change at the door (cash only). And we're still working to reach our fundraising goal to pay for this show! Click here to donate to our indiegogo campaign. Anything helps, plus you'll get cool rewards- for only $20 you get special rewards PLUS a ticket to one of our first two shows... so that's like a buck twenty-five more than if you paid at the door. VOLLEY VOLLEY GIRLS GIRLS GIRLS! 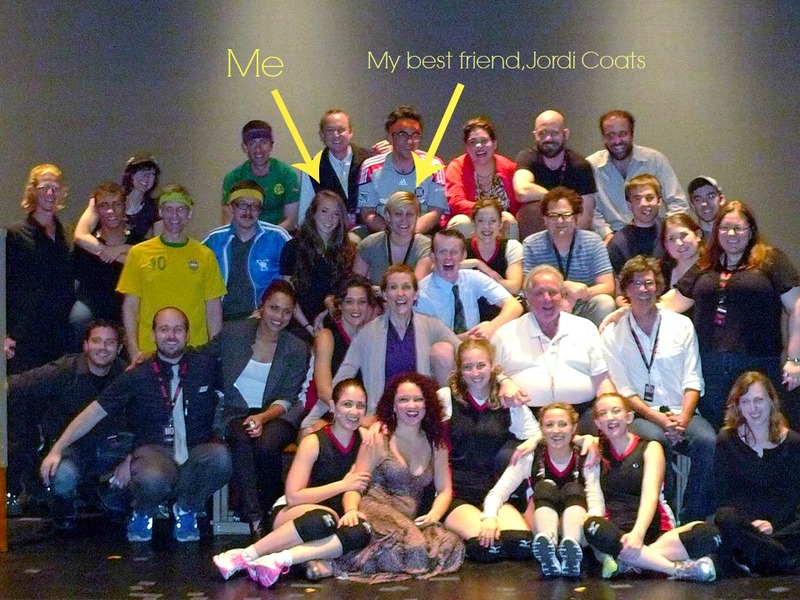 Just wrapped up working as wardrobe supervisor for Volleygirls the Musical as part of The New York Musical Theatre Festival (NYMF) 2013. So many good things about this show (A) working with close friends and amazingly talented people (B) getting back to my costuming roots with quick changes and matching uniforms galore (C) this. show. is. going. places. Mark my words. 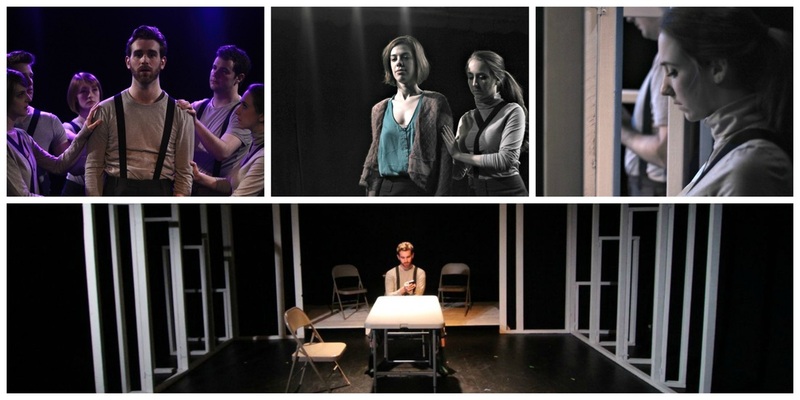 Winner of NYMF 2013 Outstanding Ensemble, Most Promising New Musical, and Best of Fest! has closed! A great cast and a great director, I’m going to miss these guys! Buy your tickets now at www.thealphanyctix.com, they’re selling out fast! Just wrapped up Catya McMullen’s The Collective at Triskelion Arts in Brooklyn. The show sold out ahead of time for every performance! I costume designed this cool sci-fi show when I was in college, and it was a total blast to get to perform in the rewrite of the show with old and new friends! Find out what I've been working on!